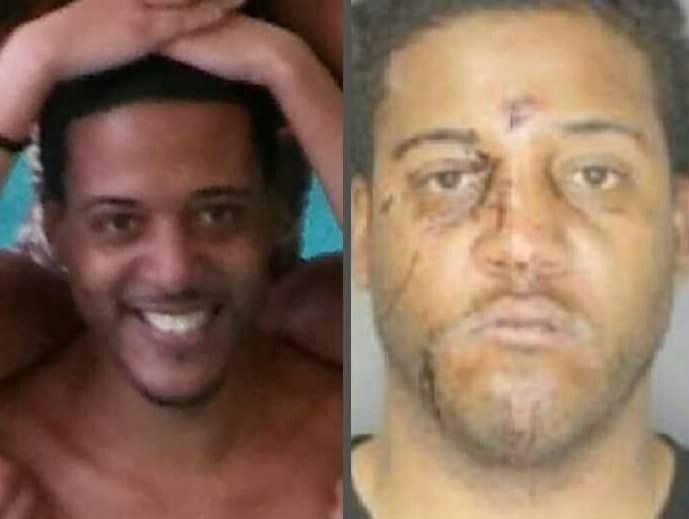 Shaun Porter before and after he suffered serious injuries in a city cellblock. Now that a Buffalo cellblock attendant has pleaded guilty in the brutal beating of a defendant in May 2016, The Buffalo News has filed a new legal motion to force Mayor Byron W. Brown's team to let the public see video of the crime. The court "should direct that the recordings be released immediately," an attorney for The News says at the conclusion of a 31-page affidavit filed Wednesday in State Supreme Court. The newspaper asks State Supreme Court Justice Tracey A. Bannister to revisit her February decision to keep the tape from public view until criminal proceedings against cellblock attendant Matthew Jaskula played out. "Until the criminal trial is over, certainly, I wouldn't permit or order the dissemination of the videotape," Bannister said at the time, expressing fears that placing the video in the public domain would affect the trial. But before it even began, Jaskula pleaded guilty May 30 to a single felony count: deprivation of constitutional rights under color of law. Jaskula admitted pushing a handcuffed suspect, Shaun P. Porter, face first into a metal door and then dragging him to a cell. The video reportedly shows two Buffalo police officers doing nothing to spare Porter from further injury. In exchange for the guilty plea, Jaskula's prison term is not expected to exceed 21 months. With the conviction, the assistant U.S. attorney prosecuting the case said he no longer objected to the public release of the video. City officials had cited the concerns of the U.S. Attorney's Office as they fought the newspaper's Freedom of Information request. The News has also asked that WKBW-TV be allowed to join it in the court proceeding. WKBW's Freedom of Information request for the video has been similarly blocked by City Hall lawyers. The affidavit, authored by Karim A. Abdulla of the Barclay Damon law firm, says Jaskula's guilty plea and the new stance from the U.S. Attorney's Office has done nothing to change City Hall's resistance. Abdulla wrote that the Buffalo Corporation Counsel's Office has decided the recordings still "would not be released without judicial directive." In the new court papers, Abdulla covers now-familiar terrain to counter some of the city's other arguments for keeping the record out of public view. As a record captured by a continuously operating camera, the video is not, Abdulla wrote, a personnel record meant to evaluate the performance of a corrections officer – a type of record that can be kept secret under New York's open-records law. Further, releasing the video will not jeopardize security procedures at the city's lockup, in the basement of the City Court building, Abdulla says. The News wants only a video showing a specific incident in a specific area of the cellblock that is seen daily by myriad defendants. Judges have allowed similar recordings to enter the public realm, he said. The newspaper's lawyer also said Brown's lawyers would have no grounds to argue that releasing the video would harm the city's position in an ongoing lawsuit. The video is considered a key piece of evidence in the civil case filed on the victim's behalf against the City of Buffalo, Jaskula, and the two police officers seen on the video, Joshua T. Craig and Anthony J. D'Agostino. In a recent filing, Porter's lawyer says the video shows "unreasonable force upon a man whose hands were handcuffed behind him and who contributed absolutely zero to any physical conduct that occurred." The city's other reasons for keeping the video private arose during arguments before Bannister in February. But her ruling at the time hung chiefly on her concerns about Jaskula's criminal trial. Still, Bannister is the judge overseeing the civil matter, too, and she expressed concern about empaneling impartial jurors in that matter – should a trial occur. "I'm not making any ruling on whether this is a personnel record," Bannister told a lawyer for The News in February. "... But for the sake of a fair criminal trial and a fair civil trial and untainted jury pool, to the best that we can keep them from being tainted prior to trial, I am going to deny your request." Matthew Spina – Matthew Spina, a staff reporter at The Buffalo News since 2004, has worked in daily newspaper journalism for more than 30 years. He's a graduate of SUNY Buffalo State and grew up in Schenectady, N.Y.